Since the year 2000, Maria de los Santos has advanced in her art career in an eclectic way. She has developed her work in different Cultural Centers and several Workshops, which has been enriched through her previous experience with high temperature kilns and porcelain odontology products making. 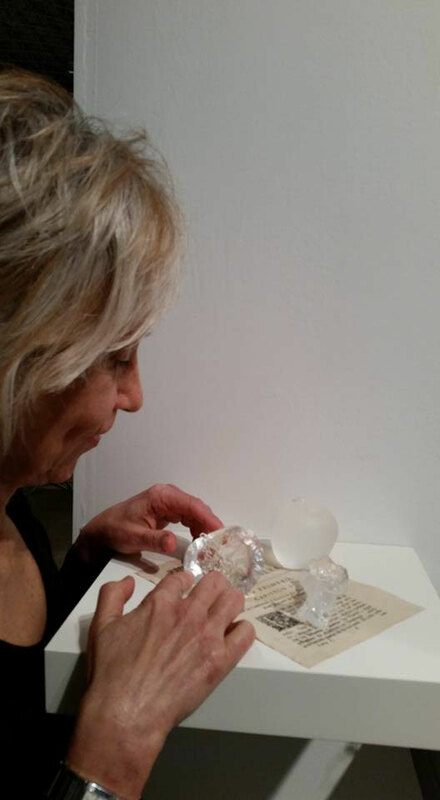 In Maria's encounter with glass, she discovered a material to unfold and transform using her own way of expression. All her energy has been focused in experimentation with the material as well as getting together with experts glass artists, many of them internationally recognized. They have enriched her work with their academic knowledge as well as the transmitting and sharing of their experiences. All my memories include glass. My parents´house had three large windows decorated with stained glass. I used to see the light passing quickly through the glasses in winter, clearer and lengthening in spring, intense and continuous in summer and my favourite, the warm light of autumn. This great opportunity to see the light in infinite shades has sustained my life and has been my passion for glass as the material in my expression. 07/2017 The Glass Price CGS, UK. 12/2016 - Cajablanca, C.A.B.A. Arg. 11/2016 - SOFA Art Fair, Chicago, Usa. 10/2016 - Galería Centoria, C.A.B.A. Arg. 06/2016 - MIRÁ, C. Cultural Borges. C.A.B.A. Arg. 06/2015 - MIRÁ, C. Cultural Borges. C.A.B.A, Arg. 2014 - Premio Adquisición por el Museo Nacional del Vidrio, Argentina. 2014 - Mención a “Repara Fisuras” VI Expo Punta Arte Internacional. Uruguay. 2012 - Mención a la técnica Museo del vidrio de Bogotá Colombia.